Jan Spencer was born in Western Kansas and was brought up in Eastern Colorado where her family raised wheat and cattle. She graduated from high school in Lamar, Colorado and attended Colorado State University. Jan was a ranch girl, but didn’t get to barrel race until later in her life. Keeping track of her two boys, Lee and Wayne, kept her hands full. 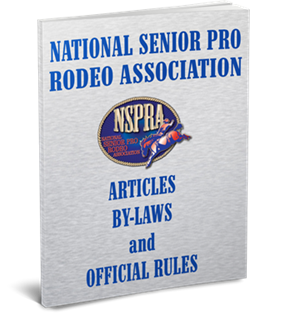 She discovered the National Senior Pro Rodeo Association when it came to Broadus, Montana in 1986, and from that point forward a wonderful partnership grew. Jan started photographing the NSPRA rodeos in 1986, donating her photographs to the Association’s publications. She hasn’t stopped either! She is the only well-known female photographer to compete in rodeo events and photograph at the same time. She’s been the photographer for the Cheyenne Frontier Days since 1968—the only living photographer to have achieved this continuous record. Jan’s photos have graced the Association’s newspapers and magazines for the past 16 years. Jan has qualified for the NSPRA Finals 16 straight years in ribbon roping, and finished second numerous times. In both 2001 & 2002, Jan finished in the top 10 in the Women’s All Around and the Ladies Barrel Championship races. Jan’s love for rodeo and her family is what makes her so special! She is a great ambassador for the NSPRA, and we welcome her into the Hall of Fame!